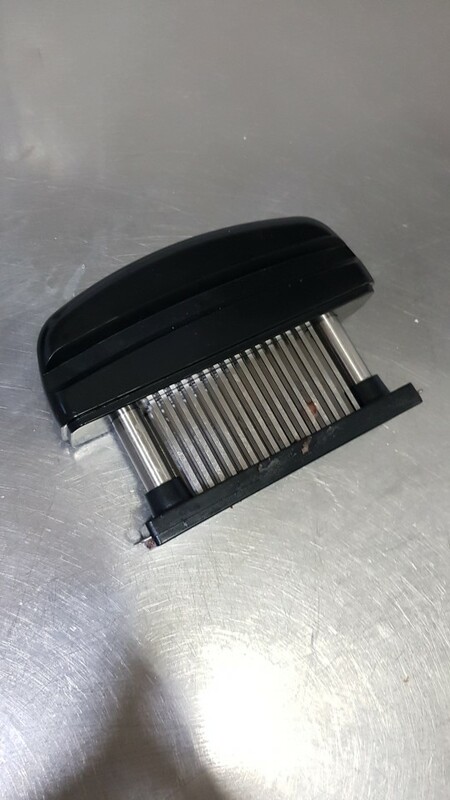 -This manual meat tenderizer helps you to cut the meat easier. -Allows the sauce to penetrate quickly. -It helps the meat to cook faster and more evenly. -Perfect kitchen tool for cooking enthusiasts or professional chefs. 1. 48 stainless steel blades, very sharp and durable. 2. Non-slip handle, comfortable to grip. 3. Easy to use and clean. Быстро и точно. Качество проверим позже.